Welcome to our next 31 Days of Love Guest Post. 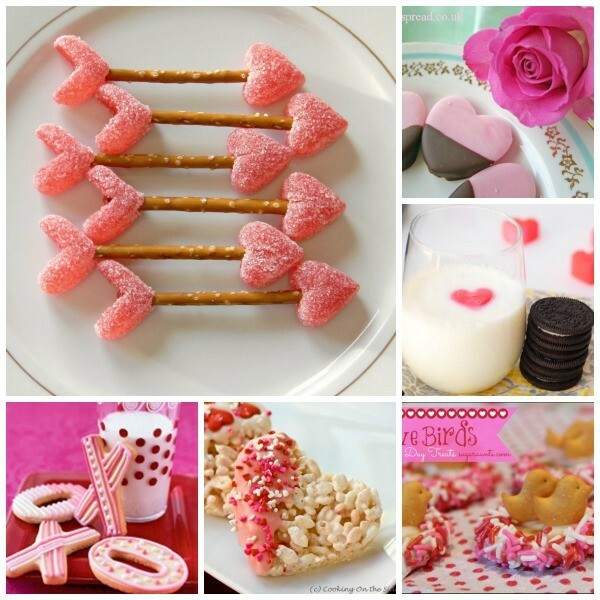 Today we have super cute and easy Healthy Valentine?s Day Treats ? 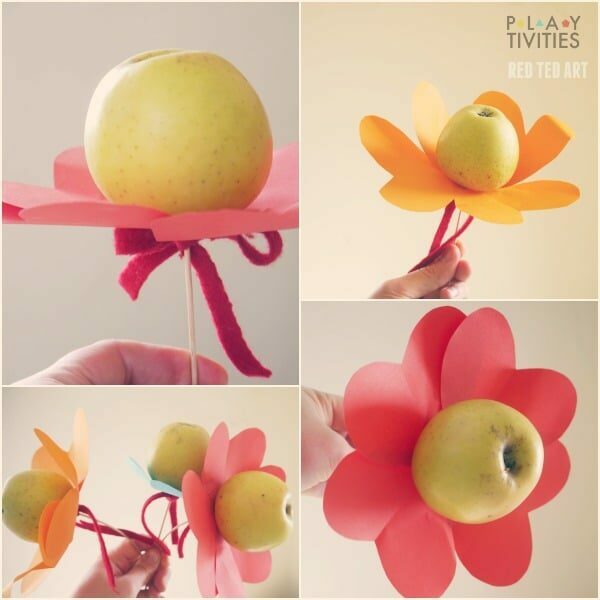 fun ?apple flowers?. What a great little gift to make for friends at school! I am Birute and you can find me at Playtivities, where I mostly share games and activities you can play as a family. We like things easy, creative and a little bit hilarious! Today I am super excited to share with Red Ted Art readers our Valentine?s gift idea for my daughter?s classmates. There are 17 of them! 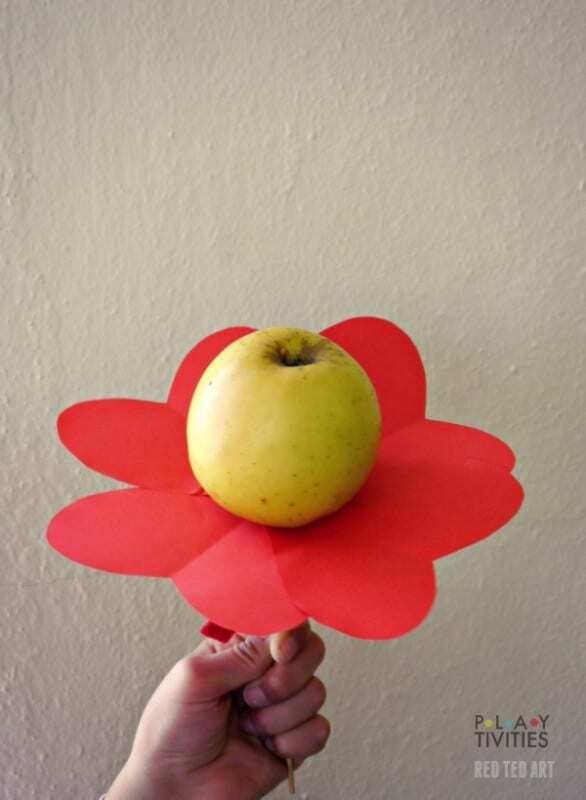 Since apple is one of my daughter?s favorite fruits we decided to incorporate them into the craft/gift this year. 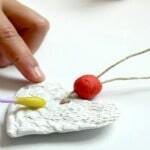 If you have some little helpers who can cut with scissors and use glue this gift won?t take long to make. Even if you have a whole bunch to make. 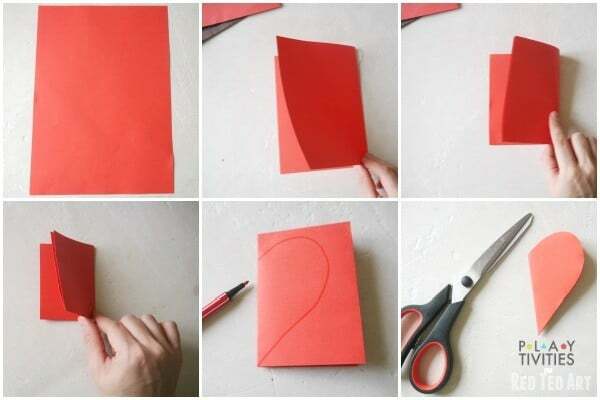 Fold your paper in half. Then do it again and again. Draw half of heart on the edge of the folds. Cut it out. You got yourself four hearts in one cut. This shortcut really helps when you need to do many hearts. 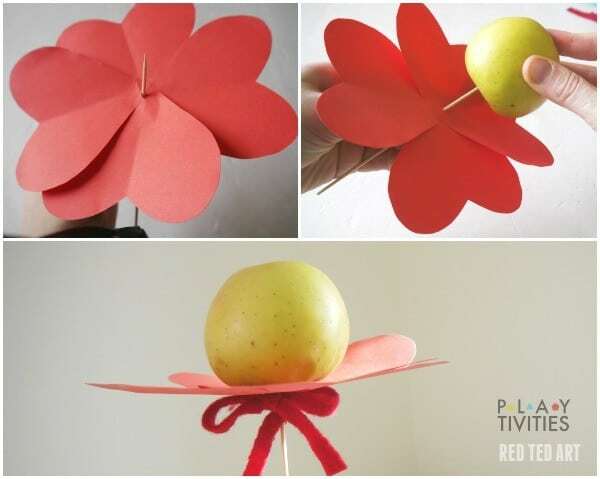 This is enough for 1 apple flower gift that we are making. So if you have 17 gifts to make you need to do this 17 times. Position your hearts so they slightly overlap each other and glue the bottoms together. Get kebob stick and carefully poke it through the middle of the ?heart flower? (make sure to wait until your glue dries). Then attach the apple the same way. 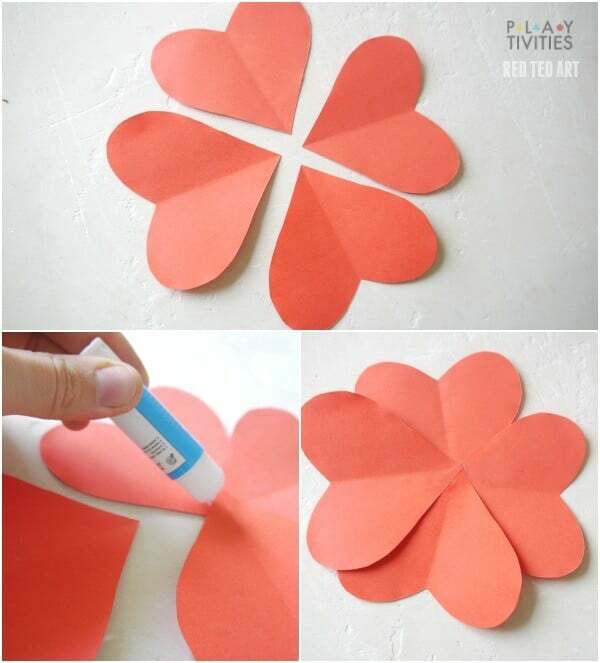 Add ribbon under the paper heart flower for looks and to keep the papers from sliding down the stick. Don?t forget to write to: and from: on the paper hearts and ask if your child wants to add any other decorations to the flowers. If you enjoyed Birute?s Healthy Valentine?s Day Treats, why not check out some of her other ideas?! Your kids will adore these Valentine ?s Day gifts and DIYs! 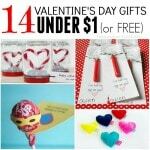 Homemade Valentine?s Day Gifts under $1. 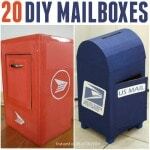 20 Amazing DIY Mailbox Ideas.